HUGE ABSOLUTE AUCTION Sells to the HIGHEST BIDDER! 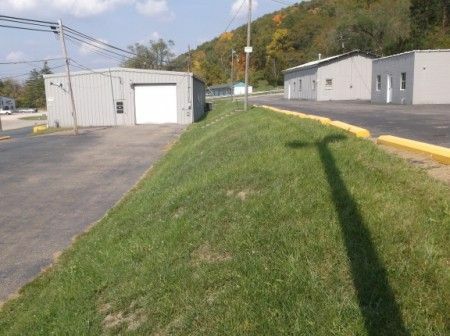 Commercial & Residential Properties, Shop, Office Fixtures & Equipment plus Car Lifts The auction for ALL PROPERTIES will be held at the Southeast Imports sales site located at 93 Columbus Road, Athens, Ohio 45701. All real estate will be sold first immediately followed by the shop & office fixtures. Parcel 1, 2 & 3 are all adjoining commercial properties that makeup the Southeast Imports retail sales which is also the auction location for all properties. Parcel #1: 93 Columbus Road, Athens, Ohio consists of approx. 24’ x 64’ retail sales office with attached approx... 40’ x 36’ auto service center with oil interceptor. Parcel #2 consists of 3 buildings at the corner of Columbus Road & Terrace Drive, Athens, Ohio having an approx. 40’ x 82’ BUTLER steel building w/oil interceptor. This building previously utilized as a clean-up/detail shop w/offices, equipped w/2 power overhead doors. Approx. 52’ x 25’ concrete floor frame building w/overhead door; approx. 18’ x 26’ concrete block building w/concrete floor. Parcel #5 is located as 23 Hooper Street, Athens, Ohio (and will be sold at 93 Columbus Rd.) Being a 2 story, 3 bedrooms, 1½ bath home w/standing seam storm damaged roof. Parcel #6 is located at 85 East First Street, The Plains (Athens Area) Ohio 45780 (and sold at 93 Columbus Road) Being a nice ranch style home w/attached garage, concrete driveway, shingle roof, block foundation, gas furnace, central air conditioning, 2 bedrooms, 2 baths, kitchen, living room, dining room & utility room all situated on a level lot. The long term tenant currently pays $675/mo. Parcel #7 is located at 17660 Dorr Run Road, Nelsonville, Ohio 45764 (and being sold at 93 Columbus Rd., Athens) This Parcel is an apartment building w/6 units & a 3 bedroom mobile home w/storage building. The apartment building has 4 one bedroom apartments & 2 two bedroom apartments, 6 separate electric meters, 1 water meter, no gas service, electric baseboard heat; 1 bedrooms rent for $375/mo. & $425 per month for the 2 bedroom apts. The mobile home is located at 1764 Dorr Run Road., Nelsonville, Ohio. This spacious 4 bedroom, 2 bath, 2½ car garage ranch style home has wrap around kitchen, dining room, living room, utility room w/partial basement & heat pump. Rents for $875/mo. 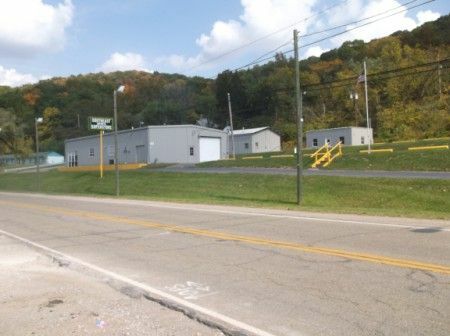 Parcel #8 is located at 17647 Dorr Run Road, Nelsonville, Ohio (and is being sold at 93 Columbus Rd., Athens, Ohio). This spacious 4 bedroom, 2 bath, 2½ car garage ranch style home has wrap around kitchen, dining room, living room, utility room w/partial basement & heat pump. Rents for $875/mo. Plus an extra adjoining lot. Parcel #9 are 3 Vacant Lots on Dorr Run Road, Nelsonville, Ohio (being sold at 93 Columbus, Rd., Athens, Ohio) and are adjacent to the apartment building. Office: Desks, chairs, filing cabinets, XEROX C 20 copier; HP printer, coin vending machine; Shop: ProLift Series II SR 70 car lift (7,000 lb); BendPak car lift (7,000 lb. ); drill press; 3 ton floor jack; (2) 700 lb. jacks; 60 gal. air compressor; battery charger, radiant heaters. Real Estate Terms: This is a Lender Approved Absolute Auction selling to the highest bidders; no minimums, no reserves; $5,000 down at time of sale in cash or check per parcel; no buyer contingencies exist; offered free & clear prior to closing on or before July 1, 2013; taxes will be prorated to day of closing; tenant rights apply to properties currently rented; sold in as-is condition; no guarantees or warranties given, expressed or implied. All information provided is to be utilized only as a guide. Buyers are responsible to conduct any inspection, inquiry, investigations and due diligence regarding to property. Buyer agrees and understands that the seller makes no warranties or representations of any kind either expressed or implied as to the condition, quality, and merchant ability of fitness for a particular purpose of the real estate or any part thereof and/or serviceability for the same. Buyer is buying property subject to any and all easements, leases, covenants and restrictions. The agreement of auction is solely between buyer & seller. Stanley & Son, Inc. and its agents are exclusive agents of the seller. Any announcements made only by the auctioneer from the podium during the time of auction will take precedence over any previously printed material and/or any other oral statements made or implied. No liability exists regarding the information contained in any printed matter for its accuracy, errors or omissions. Bidding is open, just call out, raise your hand or watch the ring personnel. With regard to personal property at an auction: The Auctioneer has arranged the merchandise for the auction and directs that it not be altered, moved or disturbed in any way by any person other than normal inspection at the spot where the merchandise is located. Statute of Limitations: Any action or suit of any kind must be commenced within one year from the date when the cause of action or suit occurred or it will be forever barred. The Right of Action or suit will begin to run on the date of breach, damage or injury is sustained & not when the resulting cost, damage, harm or loss is discovered. This Agreement will be exclusively construed & governed in accordance with the laws of the State of Ohio, without regard to its conflict of Laws Principles. The exclusive jurisdiction & venue for any controversy or claim between the parties shall be the State of Ohio, County of Ross, City of Chillicothe, by binding arbitration. Personal Property Terms: Cash or check w/photo ID; payment due at time of sale prior to removal; all sales final; sold as-is where-is w/all faults; all descriptions are to utilized as only a guide.